Your special day only happens once. This means anything you want to remember you have to take photos of. However, you’d have to hire a wedding photographer to avoid low quality images of your wedding. There are far too many couples that aren’t clear with what exactly they want photographed at their wedding. This then leads to disappointment because they realize later that they don’t have images to remember certain aspects. To avoid this disaster, be sure to compile a list of essential wedding photos. 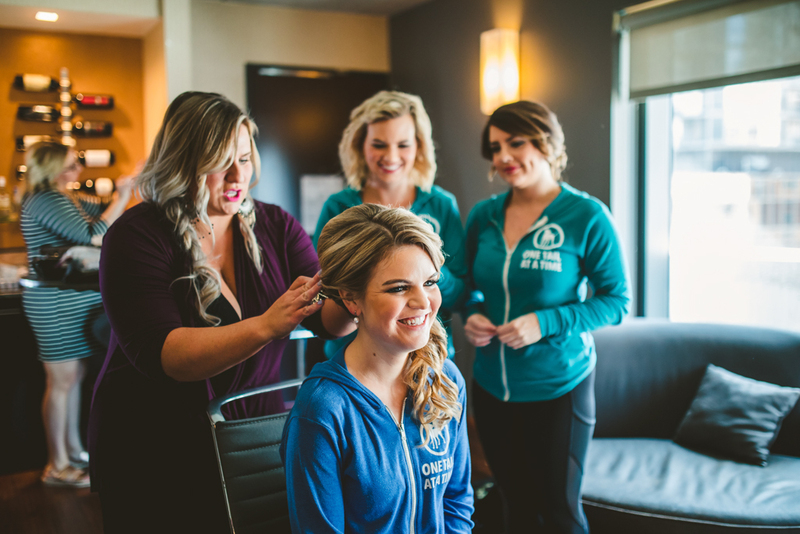 Having your hair done and makeup put on for your special day is a wonderful experience. More times than not, you are surrounded by your bridal party, laughing, and maybe even enjoying a glass of champagne. It’s moments like this that some people don’t think to capture and regret later. 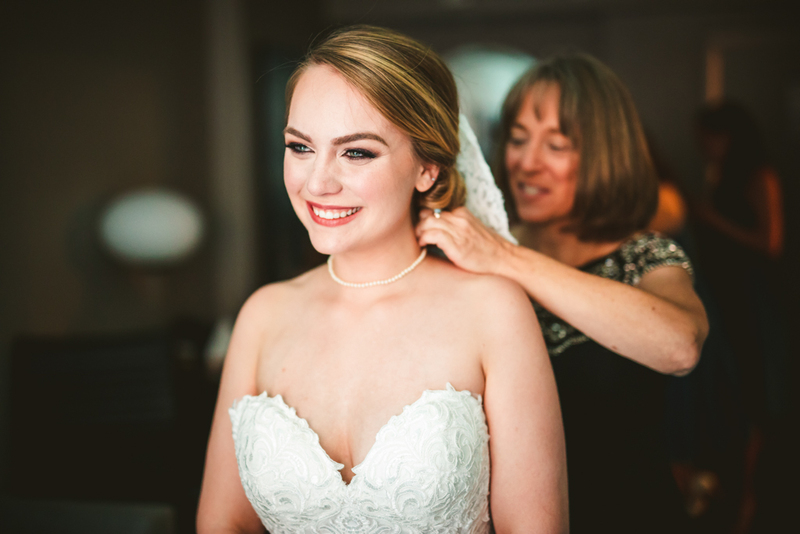 So be sure to ask your wedding photographer to get some great shots of you and your girls getting pampered for the ceremony. 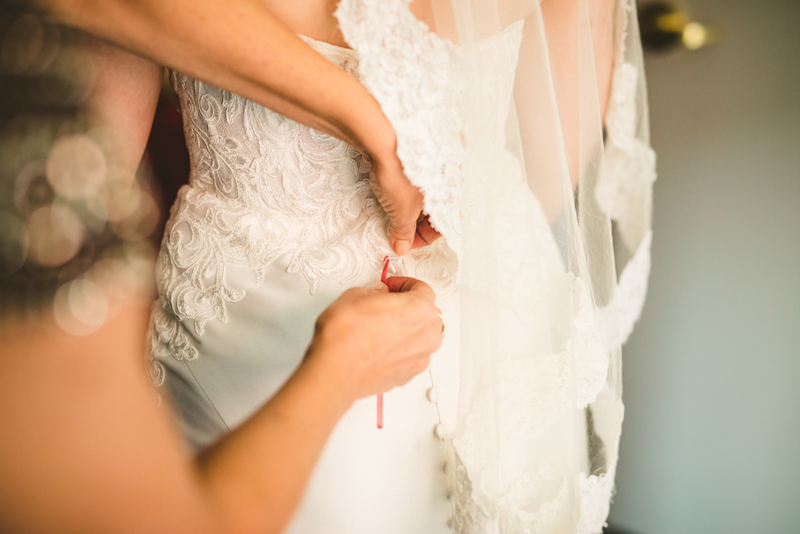 There will be plenty of shots of you wearing your wedding dress, but later you might want a photo of the dress by itself. So maybe hang the dress by a window for some natural light photos of it. Or you could even drape the gown over the bed in order to let your wedding photographer take some beautiful shots of the dress of your dreams. The old saying goes, something borrowed, something blue, something old, and something new. Make sure you get a great shot of these special accessories so they can be remembered.it is also important to realize that you may not see your shoes, or a hairpin, or whatever else in photos of the ceremony or reception so in order to capture them, it is a good idea to just take a few photos of all of this stuff together. Your mother, on your wedding day, is probably emotional at the thought of her daughter getting married. This is the ultimate sign of leaving the nest. Capture the tender moments before the ceremony between you and your mother. 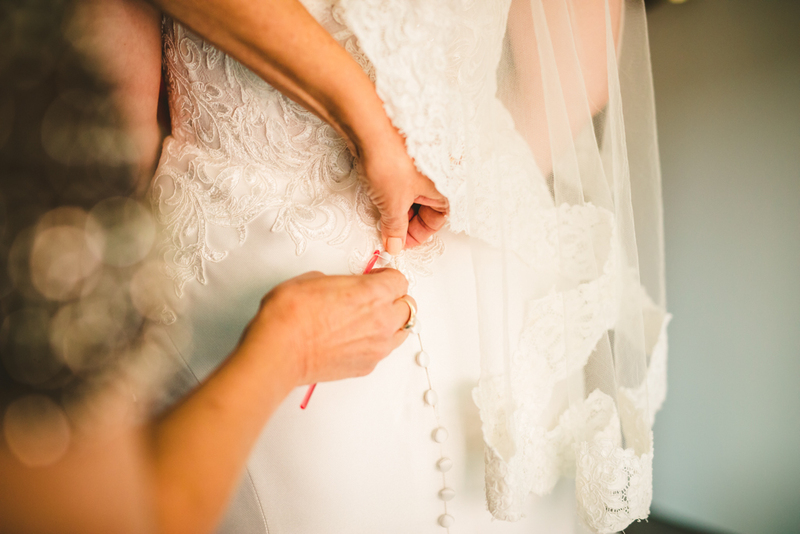 These photos could consist of your mother helping to put on your veil, zipping up your dress, or maybe just even a hug while you both fight back happy tears in an effort to preserve your mascara. Weddings are very emotional for parents. 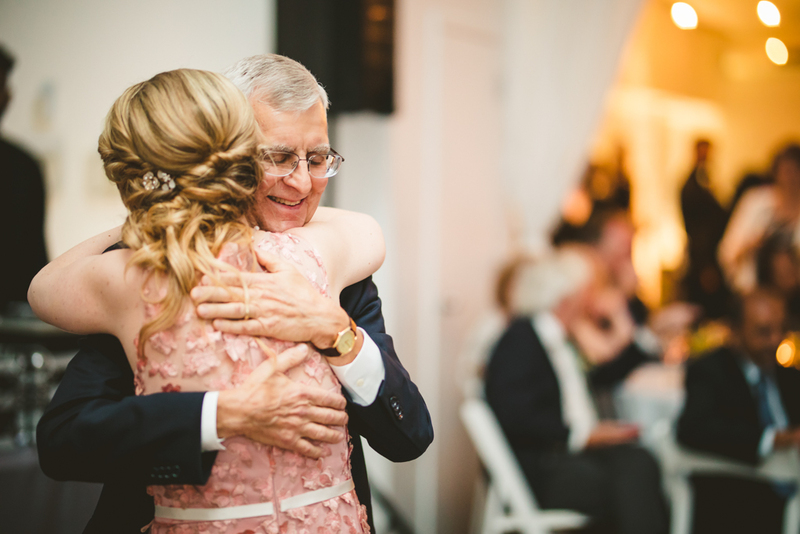 This is especially true for the father of the bride. Even if they don’t outwardly express it, they are probably very nervous to give their daughter away. The moment it all becomes real for the father of the bride is when they see their daughter in a wedding dress for the first time. Therefore, one of the essential wedding photos is the moment a father sees his daughter all ready in her dress for the very first time. A great shot that some people don’t think about would be a shot of the wedding bands together. The rings themselves symbolize the love and commitment between significant others. They are the outward physical indication that lets people know you are devoted to the one you love. 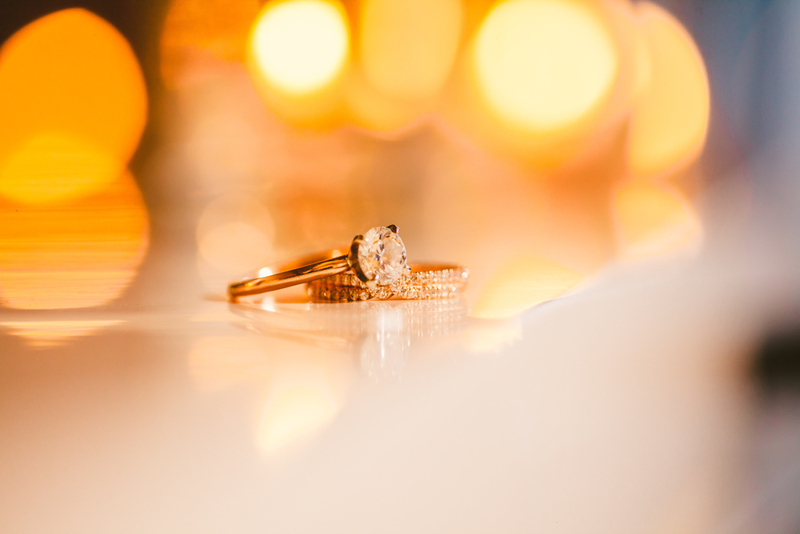 So be sure to ask your wedding photographer to take beautiful photos of you and your future spouse’s wedding bands together. 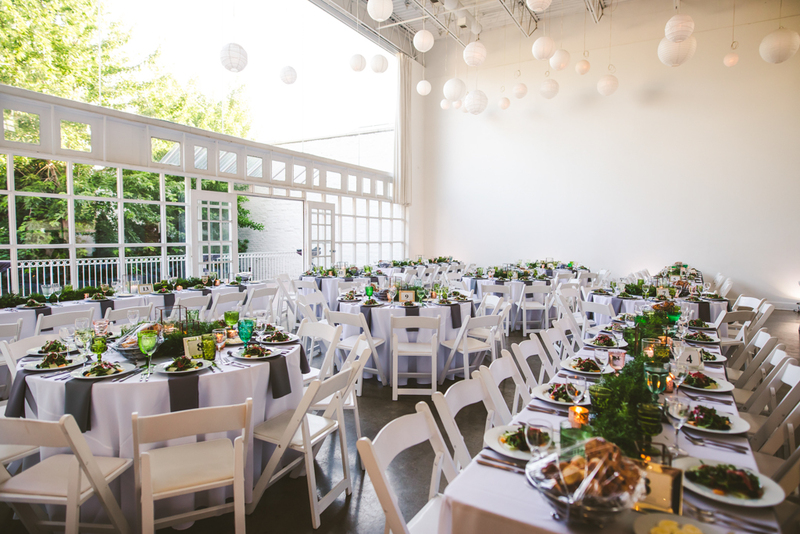 You probably spent a lot of time, money, and effort on decorations for your wedding reception. It would be a shame to let all of this go to waste by not having a photo of the hall before everyone has entered it in order to remember the amazing decor. Once the guests arrive, the reception area can become quite busy and the decorations can even be disrupted by clumsier guests. So put a shot or two of your reception space before everyone arrives on the list of essential wedding photos for your special day. On your special day, you probably aren’t looking out into the crowd very often because you are too occupied by the loving gaze of your significant other. It would be really special to be able to see the look on everyone’s faces when you are saying your vows or when the officiant finally says, “you may kiss the bride”. 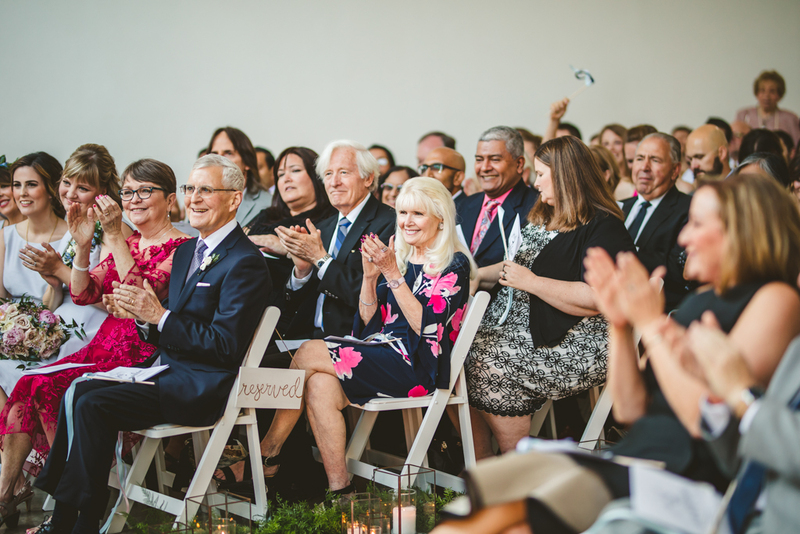 The smiles, and maybe even happy tears, that are provided by your guests are sure to bring happiness for years to come. In order to get the best wedding photos, you need to hire the best wedding photographer. This is especially true for those off-beat shots on your essential wedding photos list. LakeShore Photography & Video is the photographer you need in order to feel special and have those special moments captured on your wedding day. 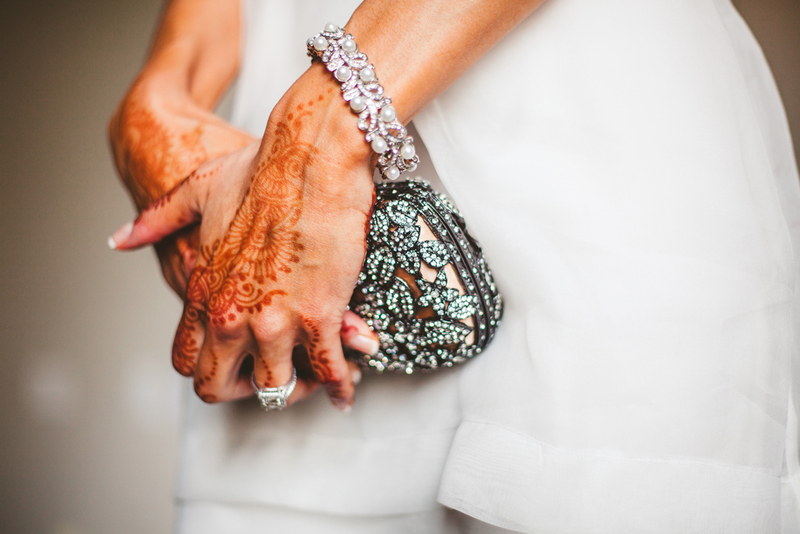 Our goal is to make brides happy through our expert wedding photography and videography.